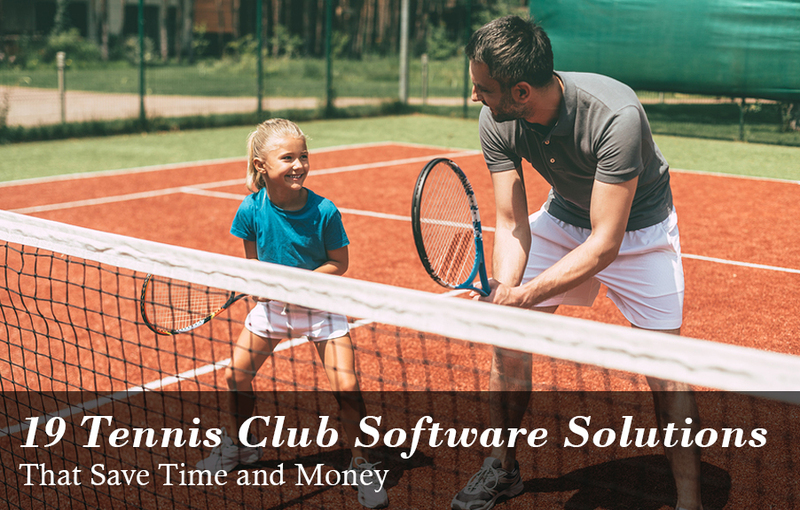 If you want to spend more time playing tennis and less time managing your club, tennis club software may be for you — in fact, thousands of modern tennis clubs across the US use tennis club software to save hundreds of hours and dollars in admin costs every year. What is Tennis Club Software? Tennis Club Software is an all-in-one management tool to help you eliminate and streamline administrative tasks from your workload to save you time and money. It’s usually comprised of a website builder, online contact database, communications system, booking system, finance & payment system, event platform, and more. Allowing club members to book courts online. Instantly processing online payments and fees. Creating an easy-to-update tennis club website with an event calendar, and online resources. Wild Apricot is the #1 rated membership management software used by nearly 100 tennis clubs across the United States. You can try a free, 30-day trial of Wild Apricot and have your tennis club setup with a professional-looking website and easy to search member database in just an afternoon. To help you compare options, here’s a list of 19 popular tennis club software options to consider. I’ve sorted the list alphabetically and listed highlights of each option’s major features and pricing, so you can easily find the solution that suit your needs. 10sPortal is an easy-to-use and easy-to-learn system to manage any sized tennis club. 10sPortal also allows your staff to save time by allowing members to self-serve through automated reservation and payment features. ACES is an easy-to-use app that can help you manage your tennis organization more efficiently. Their name stands for Athlete Coach Evaluation System. ACES provides easy scheduling, match analysis, and monthly reports. Active’s tennis club management software is an all-in-one system — from registration to communication and facility management. They also have an online tennis community with message boards, game information, rules, regulations, and more. Amilia offers easy program sign-up to streamline the registration process for tennis clubs. They also allow registration restrictions, and have an intuitive online shopping centre for your club. AppointmentPlus is a tennis court scheduling software with an open API to integrate with whatever programs you’re already using. Basic features include multiple staff calendars, control over available hours, a wait list, and overlapping appointments. ClubManager is a basic tennis club software which can handle up to 10,000 members. Some of their features include up to 30 membership options, the ability to produce draws for knockouts and round robins, POS for merchandise sales, and the ability to print member cards. ClubManager365 is a basic platform to manage your tennis club off of. Features include booking options, messaging, challenge ladders, standard box league sections, and a number of customizable landing page and report options. Eversports’ tennis club software was built with non-tech-savvy people in mind. They have an easy-to-use booking system and also a member mobile app to make reservations on the go. They also create a profile of all customers on their marketplace to help you attract new members. Gametime is an open sourced tennis management software that enables you to work with a variety of accounting systems. They also offer marketing, email, and advertising features to help you grow your members, plus they have a mobile app. Jegysoft is an all-in-one online platform for outdoor tennis clubs and tennis learning centers. Some of their features include multiple membership registration options, private lesson management, financial reports, and summer camp registration. Omnify gives you a basic way to sell tennis sessions for your academy online. They have a number of widgets that also integrate with Wordpress so you can seamlessly your website with their software. Performance Tennis Management offers two software programs for tennis clubs: Virtual Tennis Director and mytennisclub.net. Virtual Tennis Director is an online tennis club programming and price comparison software as a substitute for an actual Director. Mytennisclub.net is a tennis member management software for court reservations, contract management, and program registration. inTennis integrates every aspect of a tennis business into one easy-to-use application. Some of their features include class management, member management, online student enrolment, court booking, and an integrated contact database. Teamsnap is a tennis team software that creates a full member directory to access anyone on your team by phone or email anytime. Once setup with teamsnap, you’ll have your own customized website where you can track tournaments, practice sessions, and more. TennisBookings.com is a web-based software for tennis clubs. Their features include powerful tools for managing court and pro schedules, automated reports, self-booking for members, wait lists, and automated reminders. TennisDirector is a multi-sport management system focusing on tennis clubs. It allows you to manage private lessons, court reservations, camps, tournaments, a pro shop, and produce finance reports. MatchPoint makes it easy to manage payments, class, competitions, members, book courts online, and generate financial reports. They also have a mobile app to manage your tennis club on the go. Nearly 100 tennis clubs use Wild Apricot’s all-in-one membership management software to run their tennis club. Features include a drag and drop website builder, a built-in emailing system, a mobile app, a member directory, a member's-only area, and automated member payments and renewals.